Superparamagnetic iron nanoparticles (SPION) have been functionalized with 3-mercaptopropionic acid (3-MPA), characterized and applied for the removal of Ag+, Hg2+ and Pb2+ metal ions from aqueous solutions by iron oxide (Fe3O4). 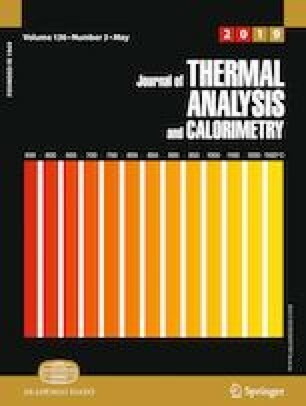 The heavy metal adsorption has been investigated by means of ICP-OES and isothermal titration calorimetry. Experimental data ware better fitted by Langmuir rather than Freundlich isotherms, and the thermodynamic parameters for the adsorption process of the metal ions on the functionalized SPION nanoparticles (SPION@3-MPA) were obtained. Isothermal titration calorimetry (ITC) is applied to monitor heavy metal adsorption on SPION@3-MPA: the process results to be exothermic for Hg2+ and Ag+, while it is weakly endothermic in the case of Pb2+, and the adsorption enthalpies and entropies have been obtained. The values of the thermodynamic parameters suggest that the Ag+ and Hg2+ ions interact strongly with the thiol groups, while the Pb2+ ions seem to be adsorbed by the material mostly via electrostatic interaction. When compared to other thiol-functionalized materials, the obtained SPION@3-MPA NP can be considered a competitive adsorbent for Ag+ and Hg2+ ions. The comparison between the ICP-OES adsorption rate and the enthalpy trend obtained by ITC supports shows that the latter technique can be a good tool for a fast testing of materials to be applied for heavy metal separation from solutions. The online version of this article ( https://doi.org/10.1007/s10973-018-7763-0) contains supplementary material, which is available to authorized users. The authors would like to thank Dr. Eleonora Aneggi for the assistance with material characterization.